(Gallatin County, Mont.) Gallatin County Sheriff’s Search and Rescue in West Yellowstone was busy today, with a pair of rescues two hours apart. At 9:35 am, West Yellowstone Police Department Dispatch received a 911 call reporting a snowmobile accident on the Two Top Trail near junction 15, approximately 8 miles southwest of West Yellowstone. The injured party, a 28-year-old man from Massachusetts, had been traveling on a groomed snowmobile trail when he crossed a rough patch on the trail, causing him to fall off his snowmobile and catch his foot in the front foot well of the running board, injuring his ankle. Rescuers from the Sheriff’s Search and Rescue in West Yellowstone and Hebgen Basin Rural Fire District met the man at the scene of the accident half an hour after the initial call for help. At 11:07 am, West Yellowstone Police Department Dispatch received a 911 call reporting another snowmobile accident on the Two Top Trail, near junction 17. The injured party, a 72-year-old woman from Alabama, had sustained a broken arm when the snowmobile she was riding as a passenger hit a rut in the groomed trail and launched her off of the sled. Rescuers met the woman at the scene of the crash half an hour after the initial call for help. 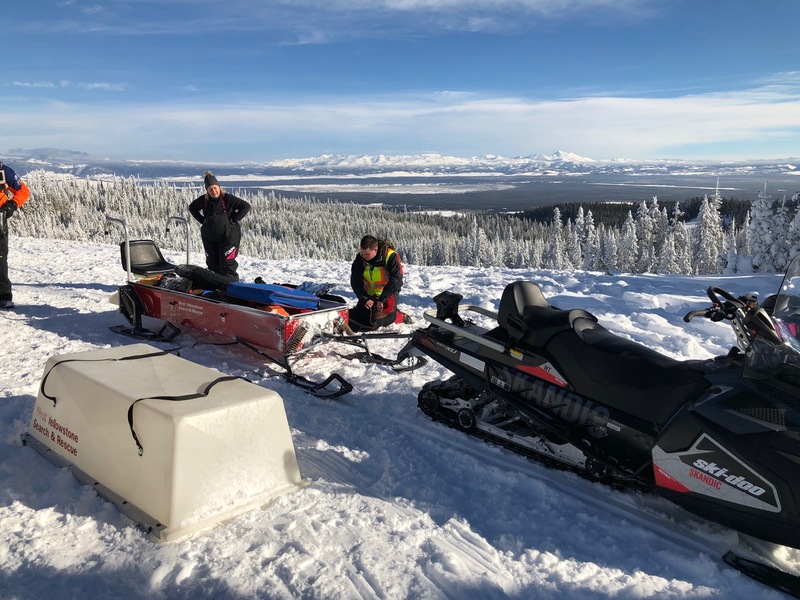 Both patients were transported in a specialized rescue sled to waiting ambulances, which took them to Big Sky Medical Center for further evaluation and treatment. 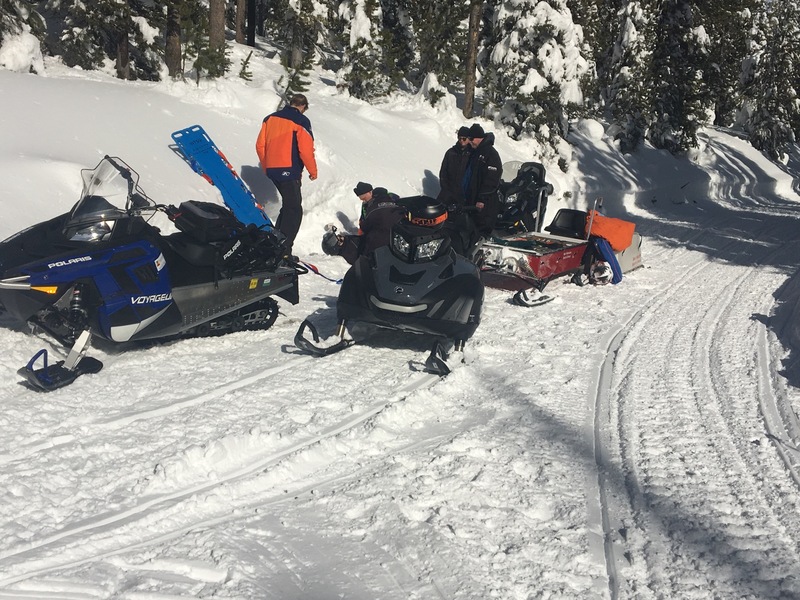 Gallatin County Sheriff Brian Gootkin would like to remind snowmobilers to be careful in the backcountry, even on a groomed trail. Changing terrain and trail conditions can sometimes bring unexpected adventure to a fun day of snowmobiling. Always remember to ride with a partner and carry a reliable means of communication in case of an emergency.